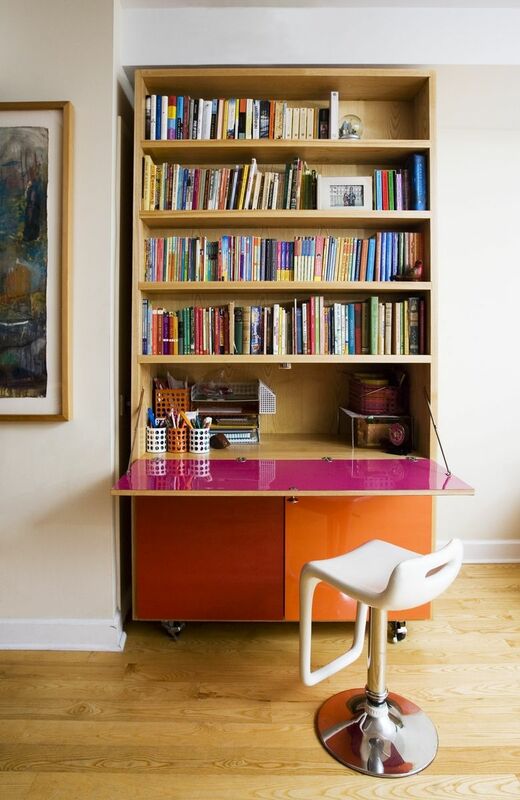 This piece is a desk, bookshelf, storage cabinet(s) all in one. It sits on wheels and can be easily moved and, importantly, it can be broken down to fit down stairs, in elevators, etc. 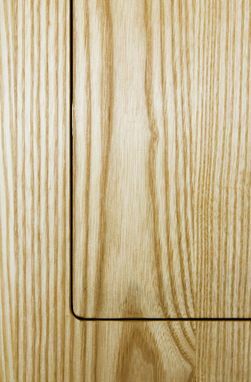 The laminate surfaces in attached photos can be changed to whatever your almost-indestructible/easily-cleaned surface loving heart desires (and is available from suppliers). 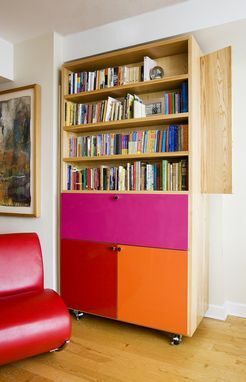 The back "hidden" cabinet (see photo) can be used as an open space, to store oversize stuff (artwork, etc) or with shelves. 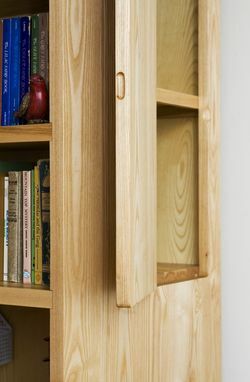 The detailing on this piece is subtle, sturdy and plain good-looking. 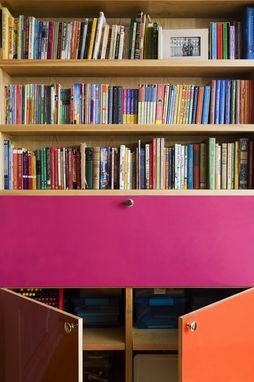 The edges of the doors and desk are made to match the cabinet; 'hidden' cabinet has hand-cut fingerpull; the knobs oversized chrome (can also be 'invisible' fingerpull).